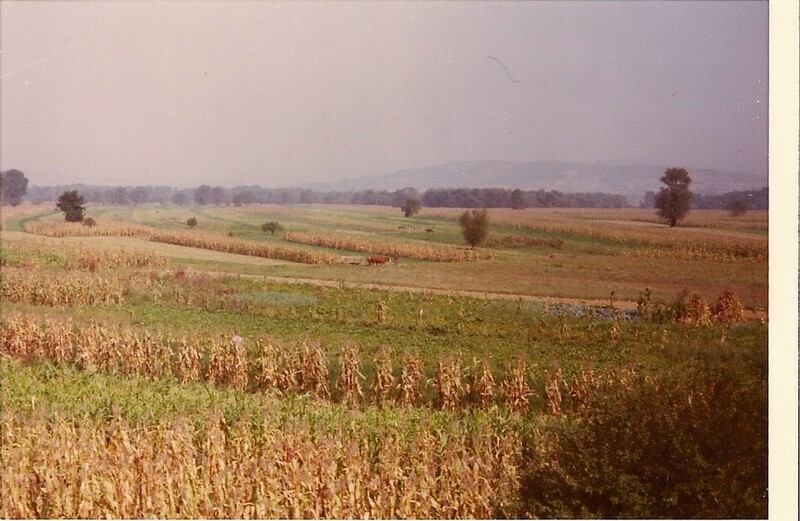 In the spring of 1975 I was working on Idawanna Farm in Greenville, New York, my home town. The farm was owned by the Quirk Family from Franklin Lakes, New Jersey. 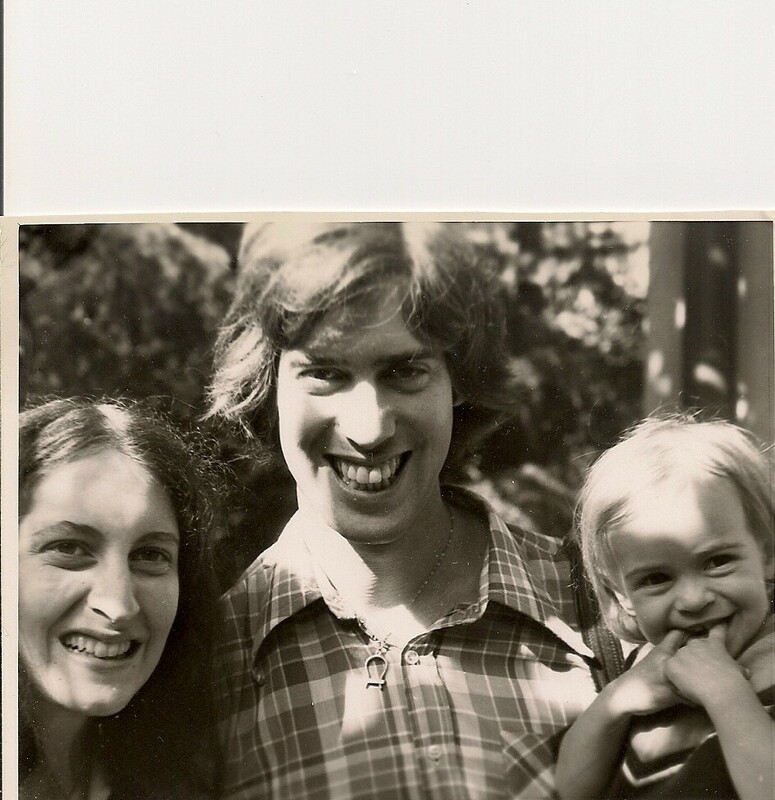 Their son Joe and I were good friends from the time I had started working for them in 1973. 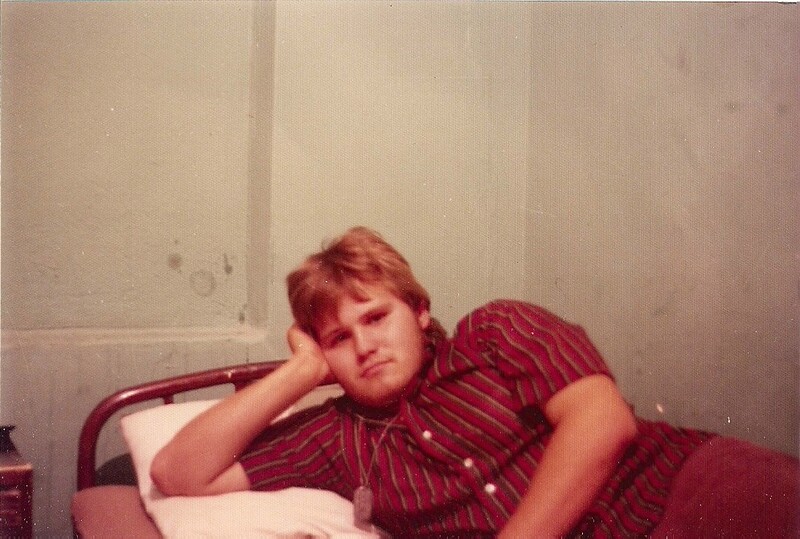 In May of ‘75, Joe came home from college with a good friend, Cal Mooney. The three of us spent the summer working the farm. Each evening after a hard days work we would hang out in the Condor. The Condor was a thirty foot motor home owned by the Quirks in which Cal and Joe were living for the summer. One day after a hard days work of making hay. We sat around in the heat, drinking gin and tonic and shooting the breeze. 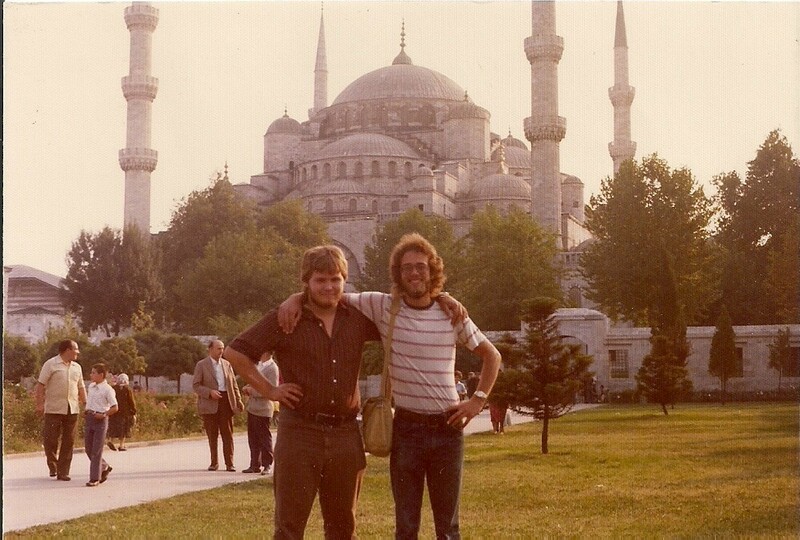 Cal once again brought up his brother David who was living in Istanbul, Turkey in a sort of religious commune. He had recently moved there and Cal hadn’t seen his brother in a couple of years and really wanted to go visit him. Well, before we new it , after a few more gins, we had all made a pact to go to Europe. It was crazy. None of us had any money and no resources to make such a venture. We decided to work the rest of the summer, saving our money for the trip. We began to make plans. I needed a passport, and everything else necessary to make a long trip like that. I sold my car for additional money. Believe it or not, things began to fall into place. By the time late August had arrived, we had tickets on Icelandic Airlines to fly to Europe, specifically Luxembourg, on September 13th. Shortly thereafter, for reasons beyond his control, Joe had to back out of the trip. On September 12th, we finished work for the day, said our goodbyes to friends and family and drove to Fairfield, Connecticut to spend the night with Cal’s family. We spent the 13th on a boat on Long Island Sound, had dinner with his family and then headed to the airport (JFK) for an 8 pm flight. I was 19 and never been away from home before. I was quite excited. Flying was a new experience too. After about five hours, we landed in Iceland Though we only had a little over an hour there, I walked around the airport and saw what I could see. We then headed to Luxembourg. We landed at 7 am their time. As we began to tour the city we ran into a couple of confused young ladies who were trying to find a Youth Hostel. Their names were Nancy and Elaine. It turned out they had been on our plane flying over from New York, and had recently camped at High Point New Jersey, only ten miles from my home. We all toured the city together, Luxembourg is beautiful ! We dined in small sidewalk cafe’s. Sometimes our meals were simply hard salami, fresh bread and wine and sitting along the quaint streets enjoying the atmosphere. The streets were so narrow and many were brick. I didn’t think cars could get through them, but every so often one would, leaving the odor of diesel in the small enclosed streets with high buildings close on either side. From Luxembourg we moved on to southern France. After much discussion we decided not to go to Paris. We had heard that it was so expensive and that they were very anti-American. We headed to Strasbourg. We found a Hostel where we could spend a couple of days. The proprietor was not at all nice, cursing Americans and asking for our passports if we wanted to stay there. It was a no brainer, we moved on and slept in our sleeping bags in a field. We weren’t taking any chances. After two days, Nancy and Elaine left us, heading to a different part of Europe than we were going. It was nice to have them with us, and we missed them when they left. We were traveling by train, which was the cheapest and easiest way to get around Europe. From there we headed to Munich, Germany. We briefly visited the Munich Zoo and toured the city. From our Hostel, in the distance we could see the site of the 1972 Olympics that had ended so tragically for the Israeli Team. It made us pause and reflect on our own good fortune in life. Preparations were underway for “Octoberfest” a huge annual celebration which includes a lot of beer drinking. Though we were a little early for the festivities, we of course had to stop and have a beer or two and sample many German cheeses. We went on to Stuttgart from there, staying in a hostel on the hillside overlooking the city. We could see the Mercedes Benz building from there. Our next destination was Austria. We were going to visit several small towns there. One evening we stayed in a hostel in Villach, Austria. We no sooner got settled in and a big thunderstorm hit. We stared out the windows of this wonderful Alpine chalet in awe, seeing the Alps lit up by a multitude of lightening bolts. One of the most beautiful sights I’ve ever seen. From Austria, we moved on to Yugoslavia, My first communist country. Soldiers came on the train and checked everyone out, but there were no problems. We spent the night on the train, so we didn’t have to find a hostel here. I should mention that the “Youth Hostels” were located throughout Europe and most were only $1.00 a night. They included a bed, hot shower, and a breakfast of biscuits and jam as well as coffee and juice. They made things quite convenient, and there were always fellow travelers to share an evening of stories with. We stopped in Belgrade, Yugoslavia and saw some of the sights. The people were interesting, and everything was like I imagine it in the another era in the U.S. Oxen pulled carts, women wearing scarfs on their heads, fields and farms were everywhere. It was quaint and somewhat primitive. When we passed into Bulgaria, things didn’t go as well. Once again soldiers boarded the train, but they weren’t quite so cordial. They searched us all quite thoroughly. I was thinking we shouldn’t have any problem, when they approached me. They checked my passport and then asked to see my travel visa. I explained that I hadn’t required a visa, because we weren’t stopping in the country. That had been explained to me by my travel agent back in the U.S. as we prepared for the trip. He informed me I was wrong, and that at a minimum, a transit visa is required. Cal had a visa from a previous trip that had not expired. They held up the train (how popular was I) until a transit visa could be arranged for me. Fortunately, it didn’t take too long and we were on our way. As we reached the border of Bulgaria, Turkey and Greece, we contemplated going into Greece for a short visit. We decided that since Cal was looking forward to seeing his brother, we would go directly to Istanbul and perhaps visit Greece later. We finally arrived in Istanbul. Cal and I toured the city. We checked out the Grand Bazaar, the port, the parks etc. We decided to get a hotel, as we didn’t know the whereabouts of any hostels. We found the Hotel Topkapi in the Sirkeci District of the city. It was located just off of Gulhane Park. We were not far from the Blue Mosque. The day after we arrived, we found out just how foreign we were to this exotic city. We made our way through the Grand Bazaar, coming out in a very secluded area that seemed to be a dead end ally. Two men approached us and asked if we would like to make a money exchange. When we told them we weren’t interested, they attempted to rob us at knife point. Fortunately, a group of young boys saw what was happening and distracted the men as we made our escape. Later, a couple of the boys recognized us at the marina and came up to us. They informed us that we were quite lucky to get out of that situation. We thanked them with our spare change, really grateful for their intervention. We spent a couple of nights at the hotel and were to meet David Mooney the following morning. David had been away on a trip when we arrived. We finally did meet him and he took us to the Villa where he and his group were living. It was a beautiful home in a residential area. Most of the homes belonged to the wealthy. The owner of this villa was a renowned national soccer player. And a member of the religious group to which they all belonged. It was very nice and comfortable. Quite a few people were living there and it had a nice yard and gardens. The people I became closest to were Juda, his wife Pledies, and their daughter Theresa. They were such a nice family and Pledies was expecting their second child soon. There was another nice couple who’s names were Franz and Luz. He of German decent and she Spanish. I would see them all many times over the next few weeks, but after spending a couple of days at the villa, I decided the religious setting was not for me. I headed back to the hotel Topkapi, leaving Cal with his brother and their friends. I was not really sure what I was going to do now. Since I was alone, I could not have a room to myself. At that time in Istanbul, you rented a bed rather than a room. Each evening I would have one or two room mates as the room had three beds. A couple of nights there was a less than friendly Turkish man sharing the room. Other times, young tourists like myself. I enjoyed those nights more. I spent my days touring the city. I ate each day at the “Pudding Shop” a renowned eatery in Istanbul that served a variety of Turkish food. This meeting place for travelers enabled people from all over the world to meet up and form friendships. For me, it was a great place to run into other American people and have a conversation in English. It was not bad at all and I got used to lamb and goat etc. There was no refrigeration and milk was not available. Food that I would have in my room consisted mostly of bread and fresh yogurt, which had to be purchased daily at a corner store. There was an ice box in the hotel lobby from which they sold cold sodas. I often stopped and picked up a “lemonada” It was like a carbonated lemonade with pulp in it. It was quite good, and the only cold drink I could get. It was very hot and humid in Turkey. Some times I met some of our friends from the villa in the park. It was nice to see familiar faces and friends at that. One day they informed me that Cal and David had gone on a mission and traveled to Greece. They didn’t know how long they would be gone. This left me unsettled. Though I was staying alone in the city, somehow it felt as if Cal was right over in the next neighborhood. Now I felt quite alone. As time passed I explored the city more and more. Back to the Grand Bazaar, out along the coast line of the “Marmara Denizi” The Marmara Sea. I was always interested in marine biology and I was able to see some amazing sea creatures by exploring the rocky inlets along the shore line. Sea Anemones, Starfish, Sea Urchins, fish and mollusks. The water was anything but clean. Large pipes emptied sewage and industrial waist right into the sea. I stayed out of the water, but was still able to enjoy and abundance of marine life. Birds were always of interest to me as well. There were garbage sites located throughout the city. People would bring their garbage to these sites daily, and once a week, a bucket loader and dump trucks would pick it all up. Gulls were covering these piles. Today, I can’t say exactly which species I saw and didn’t see, but I almost certainly saw all the common gulls. A pair of Doves, very similar to Mourning Doves nested on the windowsill of my room. By the time I left, the young were just ready to fledge. One morning, I ran into Francis and Luz in the park, passing out religious pamphlets. I gave them a hand, only finding out later that if the police had come along, we could have been arrested. Preaching Christianity in Turkey was illegal at that time. They told me about a meeting that was being held that afternoon at the hotel across the street from mine. It was really more of a social gathering and should be great fun. I went with them and it was pretty neat. There were nearly forty of us there in what was more like an apartment than a room. Two of the young men played guitar and there was good food. I met a lot of people and it was a special memory. Later I found out that the group housed young people trying to get out of Turkey there. I found out that Billy Hayes of “Midnight Express” fame was there at the same time I was. I don’t know if I met him or not, but it is kind of neat to think I may have. About half way through may stay in Turkey, a nice young man, from Germany became my room mate. We had some great talks the first day or two and enjoyed each others company. Unfortunately, he was into drugs and had some problems before he left Istanbul. I did miss him when he left. As time passed, I became restless. I still didn’t have a plan. I had been in Turkey for three weeks and Europe a month. Was I going to go home? Was I going to explore Europe further? I just wasn’t sure. I checked with my friends and Cal had not yet returned from Greece. My money was getting low. I had already sold most of my belongings. My jeans and jeans jacket were worth more than gold in Turkey and that money kept me going a while. As my money became seriously low, I went to the American Consulate and explained my situation. The Consulate was located in a different area of Turkey which was located in the Asian part of the country. This was the only time I’ve ever been in Asia. I did not want to have to contact my parents, so they put me in touch with friends from home, Joe and Patrice Lilly. They agreed to wire me enough money to get home. ( I later found out they had cleared it with my parents first). The money was to be there withing 12 hours. It never came. ( I later found out that it had been absconded from the local Western Union office) The next day I returned to the Consulate. Mrs. Burkhart was the Consulate General. She had taken a liking to me and decided their office would loan me the money to get back to Luxembourg. I still had my round trip ticket to the U.S. It was Friday afternoon, and they had to complete some paperwork for the money and make some arrangements for my clearance out of the country. It got quite late and the woman who was doing the processing, a Turk, became irrate when something wasn’t going as planned. She was going to have to stay a while longer and was mad. A while later, Mrs. Burkhart informed me that all arrangements had been made and that my passport would be good for only one week. Enough time to get to Luxembourg by bus and fly home. I didn’t check the passport as she handed it back to me. I completed my arrangements and was on a bus with enough food for a couple of days. When we reached Bulgaria, I handed over my passport and visa and was given the all clear. When it was returned to me, I happened to look at it. I noticed the line drawn through the expiration date with a hand written line at the bottom saying “SEE BACK PAGE”. When I turned to the back page I was ashen. It said “CANCELLED EFFECTIVE IMMEDIATELY” With yesterdays date. What was I going to do? I was in Communist Bulgaria and had no valid passport. How had they missed it upon checking it. It seemed clear enough. The line through the date was barely noticeable, and there seemed to be no real correlation with the “see back page” at the bottom. It was completely overlooked. Could I chance that it would continue to be overlooked? It was Saturday, I was going to have to chance it. As we traveled through Bulgaria, we made a few stops. Everyone was so nice. We stopped at a small Inn which served meals. Again it was primitive , but excellent food. As we went to leave, there were two Roe Deer feeding on fallen apples in the orchard next to the Inn. 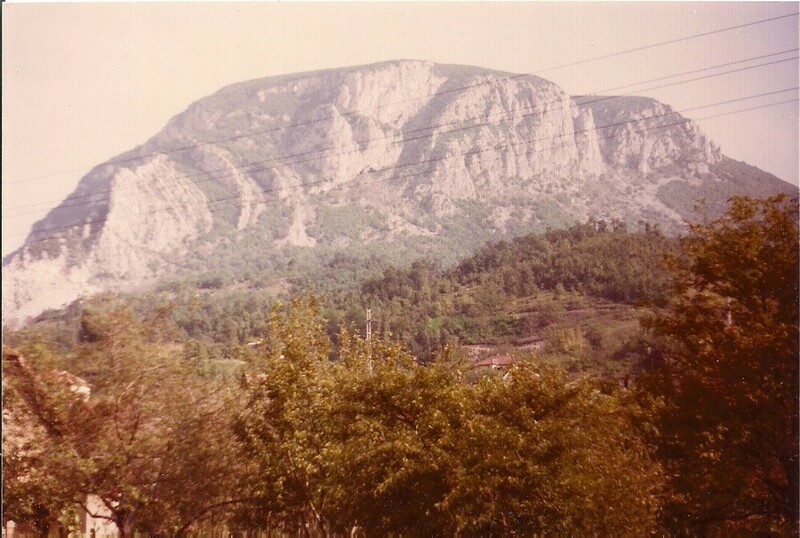 The trip through Yugoslavia was uneventful, and I passed my time getting to know my fellow travelers. There were a couple of young men from England on board and we kept each other company. As the bus traversed the Austrian Alps, It began to snow near Innsbruck. We were heading over a pass when the bus came to a screeching halt. An Ibex had come down on the road from the ledges above and had a moments difficulty getting back up the rocks. It was a brief but exciting look at this animal. I traveled on through Europe with the passport cancellation completely missed at each border. When we reached Switzerland, the bus was turned back. There were very strained relations between the Swiss and Turkey at the time, and though Switzerland was not their destination, they wouldn’t let the bus pass. It was going to have to take a several hundred mile detour and travel back through Austria. After considerable discussion, and a partial refund, I got off the bus and went into Switzerland on my own. I was too close to my destination to chance a major detour. When I got off the bus, I boarded a local bus. When I sat down, I asked if anyone on the bus spoke English. Two young women did. They were Mormons from Utah on a mission in Europe. They bought me a nice dinner and got me on the appropriate bus to take me to Luxembourg. I will always appreciate their help and kindness. ( A year and a half later, at my home, someone knocked on my door. When I opened it, a couple introduced themselves as the mother and father of one of those young women. They wanted to check and see if I had made it home and was doing well. We had a nice visit.) My trip through Switzerland was amazing. The Alps were more beautiful here than Austria (arguably) and the scenic trip by bus was beyond belief. We passed through Zurich and Basil. The huge deep lakes and towering mountains took your breath away. Small towns in Bavarian Style filled the glens and Chalets dotted the mountainsides. Upon reaching Luxembourg, I tried to make arrangements to get on a flight to the U.S. immediately. I had come down with some sort of cold and wasn’t feeling well. I was told that I couldn’t get on a flight for three days. What I didn’t realize was that the woman at the counter had discovered that my passport was cancelled and she notified the authorities as soon as I left the counter. How could I pass through five countries without anyone picking that up, only to be found out at the last stop. I was shortly taken into custody. An American Consulate was contacted and I was transported to the U.S. Embassy. I don’t remember his name, but he wasn’t a bad guy. I showed him my paperwork and told him my story. He was able to contact Mrs. Burkhart in Istanbul and she corroborated my story. Arrangement were made to clear me, and I was back to the airport a short time later. I still would have to wait the three days to fly home. I still wasn’t feeling well so I got a hotel for my last night in Europe. The next morning I flew home. My flight didn’t get in until late at night. I called my parents and they came down to Kennedy Airport to pick me up. Home at last. My trip to Europe was certainly an adventure. Though I should have had more money saved and should have had more concrete plans, everything worked out fine. It was the adventure of a lifetime for a 19 year old farm worker. A few months later, Cal returned from Europe and we had a trip reunion, exchanging many stories of our adventures. Since I never had a camera on the trip, he provided all the photos that accompany the story.